We are just so lucky. After spending nearly ten months here in Gran Canaria, we are now moving on to another sun drenched location; California! We had originally planned to stay here until the summer. But I was lucky and got a ticket to run the Western States Endurance Run in the end of June. And we just have to grab this opportunity! We will stay here on Gran Canaria for one more week. Then, it is two days of traveling before we arrive in San Francisco, California. We will stay in San Francisco for a couple days before we pick up our new home for the next two months, a 25 feet (7,5 meter) motorhome. Isn’t that exciting!? With the motorhome we will cruise from San Francisco down to Los Angeles, visit Arizona (including the Grand Canyon), Yosemite Natural Park, southern Utah and hopefully the state of Oregon. And we will of course spend a lot of time around the course of the Western States. The Western States race starts in Squaw Valley/Lake Tahoe and ends 100 miles/161 kilometer to the west, in the city of Auburn, California. Our two girls (nine years old) have gone to school at the Norwegian school here in Arguineguin. From now on, we are homeschooling them. Luckily, my wife Ingvild is a school teacher, so we feel that they are in good hands. The home school started this week after the Easter break, and the girls seem to enjoy their new «school». Doing it this way, it is also a bit easier for us to monitor their progression and make sure that they are prepared to return to their regular school in Norway in August. So far, Mari and Ingrid seem to enjoy their new school. 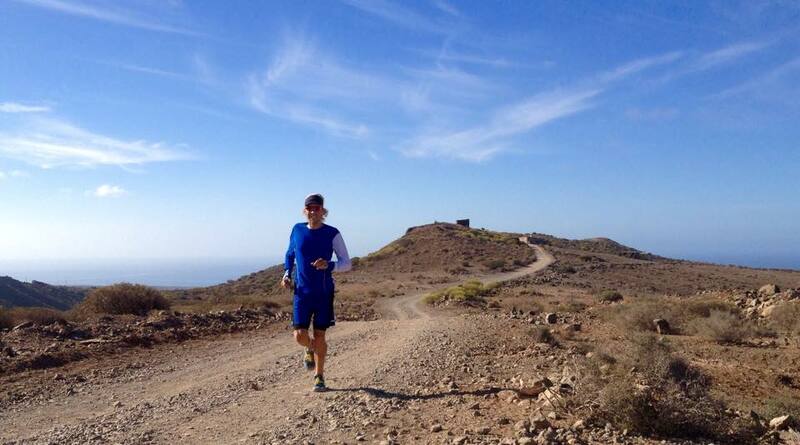 I have changed my training a fair bit after Transgrancanaria in the beginning of March. The Western States course is hilly, but not as hilly as the races that I normally run. It has also a net downhill, which means that there is more downhill than uphill running. I have therefore been focusing more on the downhills the last couple weeks. Instead of just cruising down the downhills at an easy pace, I am now running them at a much faster pace. A typical session is to go pretty slow uphill for 15 kilometers and then run fast and hard down again. I hope this will make me stronger on race day in the end of June. I am also spending more time on smoother, easier trails similar to what I’ll be doing in the US. For some reason, the trails in the western part of the US is more groomed and runnable than here in Spain (and in the rest of Europe). My coach, Ian Sharman, has run the Western States multiple times, and I feel that his training plan is preparing me well for the challenges I’ll face from Squaw Valley to Auburn. A lot of downhill running will hopefully prepare my quads for the net downhill at Western States. San Francisco. Do the typical tourist thing, take the tram and visit Fishermans Wharf and hopefully Alcatraz. Marin Headlands. I have heard nice things about the trails here! We will stay in and around Stinson Beach for about a week and I will also run Miwok 100 km on May 2nd. Los Angeles. Hollywood, shopping, cool (vegan) cafes, beaches and hopefully a run up Mount Baldy. Arizona. We hope to visit Flagstaff, see the Grand Canyon and enjoy some desert camping. I’m planning to do the classic run from the south rim to the north rim and back again. 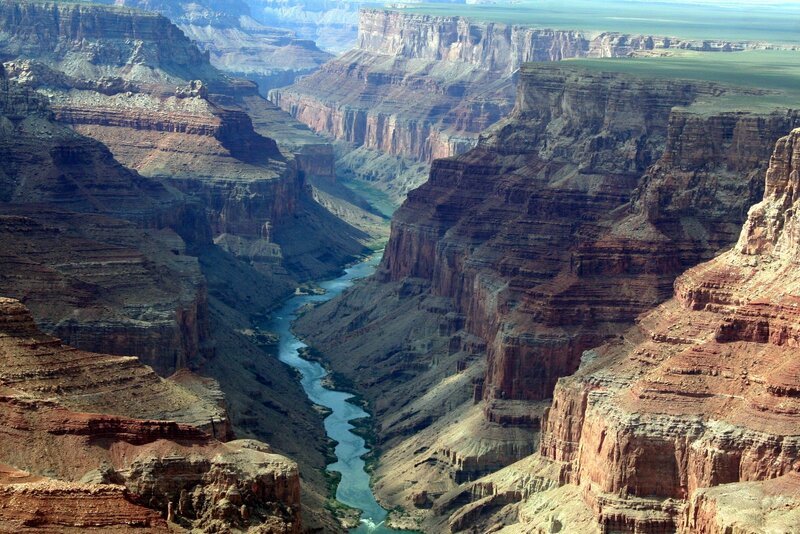 This run, often called the Gran Canyon Double Crossing, is 75km long with a lot of elevation. I have huge respect for the heat and the altitude, so I have to be lucky to get this run done. Oregon. In 1990, I spent half a year as an exchange student in Hillsboro, Oregon. We hope to visit my host family from back then! I also hope there will be time to visit some of the running hubs in Oregon like Bend and Ashland. Last but now least; we will spend a lot of time in both ends of the Western States course. In May, we will be in and around Auburn for training weekend from May 23rd to May 25th (Memorial Weekend in the US) before we drive to Squaw Valley and spend nearly two weeks there before the start of the race. This is important as I want to get used to the altitude. It IS possible to run here. I want to do more of this in the US! Stay tuned for more updates from our journey in the US! ← Omega-3 fra fisk eller planter? Låter som ett härligt upplägg. Hur har du hittat husbilen – har du hyrt den via en förmedling? Tar gärna emot tips. God tur til deg og jentene dine Sondre! Jeg skal følge dine USA-løp på nett, og håper det blir like spennende som Hong Kong og Transgrancanaria.